Finely dice the dried meat and apricots. 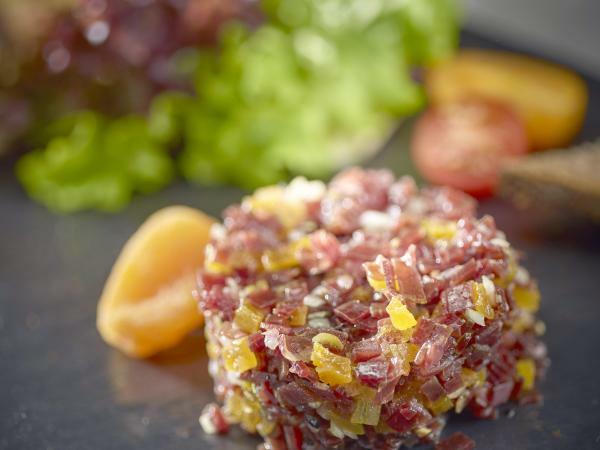 In a round dish, knead together the dried meat and shallots, dried apricots, olive oil and apricot vinegar. If necessary, add a touch more vinegar if the consistency is too dry. Leave to rest before serving on toasted rye bread AOP.